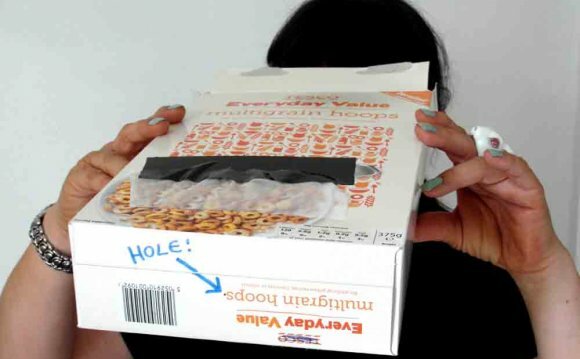 In this experiment, the teacher and students are going to construct their own pinhole camera which they are then going to use to create images. Therefore, the kids willbe able to understand how images are formed and will experience some of the science behind both light and photography. Your classroom will have a photographic memory of this exciting experiment! Many people, teachers and children alike, have used a modern digital camera. Everyone loves to take a picture of something or someone that they admire. You can then review these wonderful memories later just by looking at the picture on your memory card… But how exactly does a camera capture the image? Well, it is pretty simple science, and you can teach kids how to build their very own camera . And best of all, you only need very few things to make this easy and fun experiment in your classroom! All you need are cardboard shoe boxes and candle light! (you can check the full list in the “Materials you need in your class” section lower) Then the stude nts will make a hole on one end, and allow the light from the candle to travel to the screen. After exposing the screen, they simply close the hole, and there they have their own image. This experience is great in a classroom setting, and there are many ways to build upon this basic science principle. A single line of light is called a ray of light while many lines of light are referred to as a beam of light. Objects that produce light are called sources of light, and those objects which light bounces off of are called reflectors of light. There are two different sources of light. The sun is what we refer to as a natural source of light. Other sources of what we call “artificial” light are bulbs and candles. Both sources of light are essential to modern life. Light from any source, natural or artificial, travels in all directions and follows straight lines. Some materials absorb light. When several light rays fall on an absorbing material, they form an image, also called a photograph. Usually, this absorbing material is dark colored (think about asphalt in summer!). In order to make a good image, this absorbing material must be kept in the dark, otherwise several light rays are going to fall on it, and it will be destroyed. That is why you see a photographer removing the camera film in a dark room. When light rays pass through a hole, some light rays are blocked, depending on the diameter of the hole. Thus, the wider the diameter, the more the number of light rays that can pass through. Too many light rays end up getting congested on the absorbing material, blurring the image. Too few light rays will provide few features of the object they bounced from. It is therefore crucial that the diameter of the pinhole camera is carefully selected. The distance that the light travels from the pinhole camera to the absorbing material is also very important as it will determine the size of the image. Since light travels in a straight line, the ray of light entering the pinhole camera from the top will fall on the bottom of the screen. Also, the one entering the pinhole camera from the bottom will fall on the top of the screen. Thus the object will appear on our imaging media upside down. Technically, the inversion of images actually occurs within our eyes as well, meaning we actually see things upside down! However, there is a system within the brain to correct the orientation of the image. Thus, what we see ends up looking normal.